Lagos (AFP) - Nigeria's military said more than 200 members of Boko Haram surrendered Friday as troops regained control of the northeastern town of Banki, from where attacks had been launched into Cameroon. 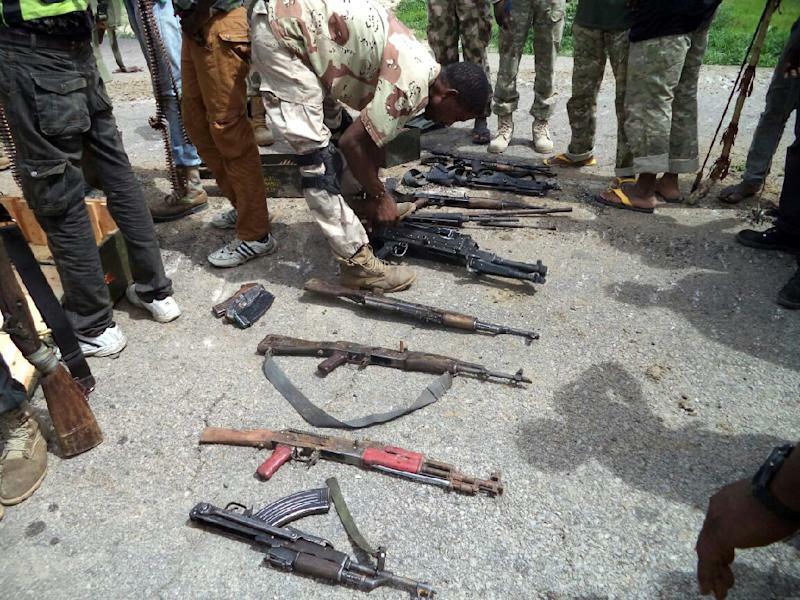 "Over 200 members of the terrorist organisation Boko Haram have surrendered today (Friday) to the Nigerian troops in Banki town," army spokesman Sani Usman said in a statement. There was no independent verification of the military's statement, the latest in a series of successes claimed by the army against the Islamists, including the destruction of Boko Haram camps. Nigeria's President Muhammadu Buhari has given his military commanders until early November to end the insurgency, which has claimed at least 17,000 lives and left more than two million homeless since 2009.